Although the design of the Equi-Librium appears symmetrical some anatomical adaptations are made resulting in a definite left and right shape. The outside branch is slightly longer, with the nail holes punched a fraction coarser for optimum fitting and nailing on. 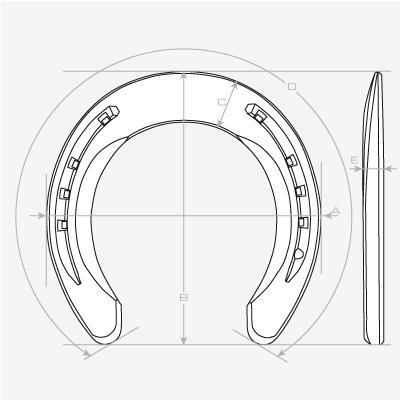 The extra wide toe area is forged with a 2 dimensional convex curve allowing the horse to fluently breakover in any direction required. Special care was taken to ensure that the center of mass of the shoe matches the Center of Pressure (CoP) during mid-stance of the hose, thereby creating the perfectly balanced hoof. All dimensions and section have been optimized for each shoe size giving an optimal shoe fit and a limited shoe range. Broken edges, sole relief are standard features on all shoes. 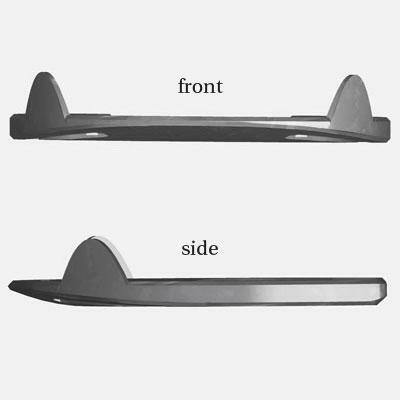 The V-crease and nail holes provide a perfect fit with the specified Mustad nails which reduce the risk of shoe loss. Available now in front patterns 2X0, 0 and 1. More sizes (2 through 4) are available on request. 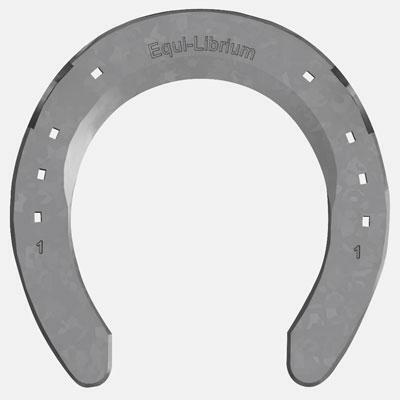 Equi-Librium shoe is now the "Official Horseshoe of the Tevis." 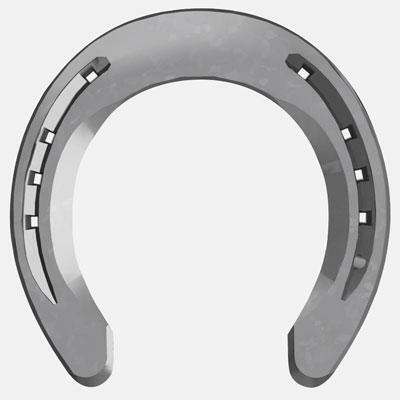 The design of the Equi-Librium horseshoe is the end result from an extensive scientific research project at the Utrecht University in the Netherlands. Welfare and athletic performance of the horse took center stage and special designed balance and breakover are key features of this shoe. The shoe is now also tested in practice and we´re proud to say that many top sport horses achieve their successes on these shoes. Overall, Equi-Librium is a sport shoe for performance horses and all horses that have to make (fast) turns in their work. 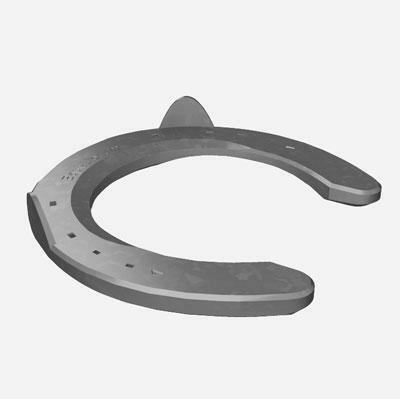 The proven beneficial effects of this shoe can also aid horses suffering from an overload injury of the distal limb in their rehabilitation process.